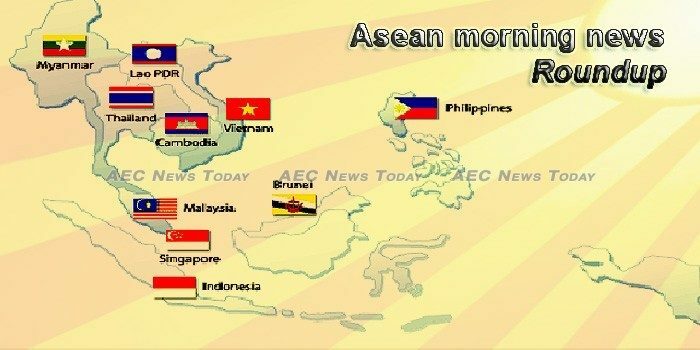 Southeast Asia’s growth rate declined in 2018, falling for the first time in three years, as some countries were hit by external and domestic headwinds that could continue to weigh on the region this year. By October 2012, an exodus of refugees from Myanmar’s Rakhine state had dominated global headlines throughout the year. Last week in Jakarta, the US-ASEAN Partnership Forum brought policy experts, young leaders, and ASEAN and government representatives together to discuss the future of US-ASEAN relations. A new index puts Hanoi 13th and HCMC 15th on the list of 20 most expensive Southeast Asian cities. In term of the environment issues, ASEAN has focused on the marine debris pollution which the sources of marine waste come from ASEAN countries. A week ago, Malaysians were shocked with news of the gruesome death of 11-year old Cambodian girl Siti Masyitah Ibrahim. Smart Communications, Inc. has ranked sixth out of the total 15 mobile operate in Southeast Asia in terms of network consistent quality, according to Canadian crowd-sourced mobile data company Tutela. Southeast Asia is quickly becoming one of the most enterprising parts of the global energy system. The Philippines will host the Southeast Asian Regional Anti-Doping Organization (SEA RADO) 2019 Board Meeting and Doping Control Officer (DCO) Training Course from Feb. 20 to 22 at the Philippine International Convention Center (PICC) in Pasay City. The Royal Academy of Cambodia on Friday said the removal of the Everything-but-arms preferential status would not be fair and called the move to review the Kingdom’s access politically motivated. The government is gathering input from the private sector and development partners to amend the country’s Investment Law and make the country a more attractive destination for foreign investment. The government has tapped into the global sukuk (Islamic bonds) market, recently issuing bonds worth US$ 750 billion with a five-and-a-half-year maturity period and a 10-year tenor of $1.52 billion, both of which were oversubscribed. Prime Minister Thongloun Sisoulith has told ministries to be proactive in attracting investment from Brunei Darussalam after learning that companies in the oil-rich country want to do business in Laos. The Ministry of Finance in cooperation with the Chamber of Commerce and Industry (LNCCI) and local companies organized a consultation workshop to provide inputs and suggestions on Draft Ministry of Finance’s Instruction on Authorized Economic Operators (AEO) and Draft MOF Instruction on Customs Brokers. Thailand’s and Laos’ immigration units held talk in Udon Thani province on security measures and cooperation in immigration affairs. Total trade volume between Malaysia and China reached a record high of US$108.6bil (RM443bil) in 2018, with the number of Chinese visitors into Malaysia increasing 29% to 2.94 million last year. The power sector’s third round of large scale solar (LSS) tenders is ‘undoubtedly a positive development’, analysts say, given the government’s plan to significantly increase the country’s electricity. The Islamic capital market was valued at RM1.88 trillion, or 61 per cent of Malaysia’s overall capital market as at end-2018, said Securities Commission (SC) chairman Datuk Syed Zaid Albar. The Philippines’ external debt service burden as of end-November 2018 was up six percent to $7.199 billion compared to $6.786 billion same time in 2017 on account of new borrowings to fund various infrastructure projects, the central bank’s latest data showed. A week after a measles outbreak was declared in several regions in the country, over 8,000 cases have been recorded, according to the Department of Health (DOH). Looking to the future, DBS CEO Piyush Gupta sounded a cautious note. For one, mortgage bookings have fallen by 30% to 40% since additional cooling measures were announced in July last year, he said. Amid slowing global growth, ongoing geopolitical uncertainty and technological disruptions to industries and jobs, the 2019 Budget unveiled on Monday (Feb 18) was perceived by business and industry leaders to be focused on accelerating the development of digital skills and adoption of innovative solutions, strengthening cyber security, and reskilling the workforce with less reliance on foreign workers. After the unveiling of all the goodies of the budget such as the Merdeka Generation Package and the $1.1b Bicentennial Bonus, (which includes up to $300 in GST voucher-cash that will benefit 1.4m people), Finance Minister Heng Swee Keat announced that the Government will raise GST by 2 percentage points sometime between 2021 and 2025. Thailand’s economy grew at a faster pace in the fourth quarter than the previous three months, as local demand helped to offset a slide in exports. Army chief Gen Apirat Kongsompong on Monday said he strongly opposed the Pheu Thai Party’s policy to cut the defence budget by 20% — and use the money to instead promote young entrepreneurs. As provinces battle with hazardous haze, Khon Kaen shows it knows how to tackle the problem at its root. If successful, the northeastern province can be a role model when it comes to solving PM2.5 — particulate with a diameter of 2.5 micrometres or less. Vietnam hopes to export $10 billion worth of seafood this year, meeting its 2020 goal a year early. The Asia-Africa Market Department of the Ministry of Industry and Trade (MoIT), has made some recommendations for Vietnamese enterprises when exporting watermelons to China. According to the MoIT, watermelon cultivation area in China is currently about two million ha, 10% of the total area of fruit and vegetable crops. Watermelon average output is about 73-75 million tons per year.